Have you seen our flyers around town? We are accepting new students for fall, 2014. August lessons are a great opportunity to prepare English Language Learners for a new school environment, or get a jump on the college application process before those senior-year assignments start piling up. 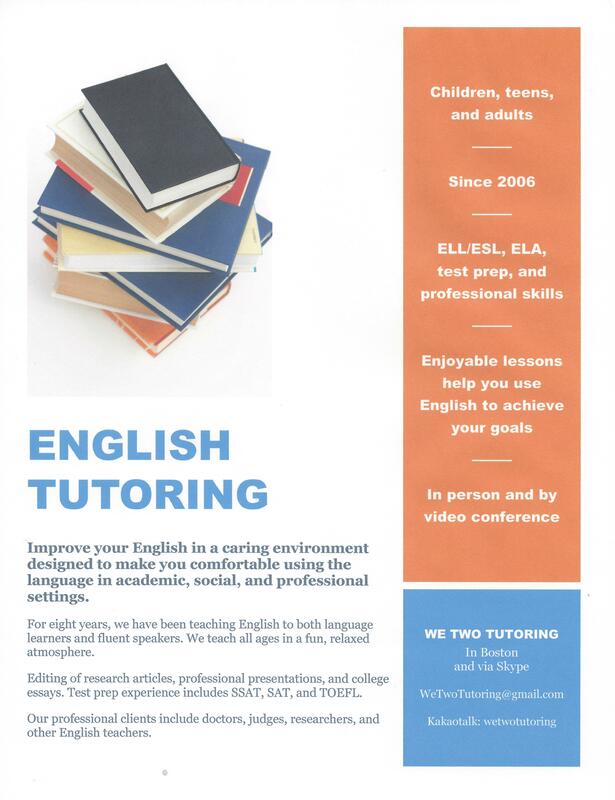 Email us at WeTwoTutoring(at)gmail.com to start a conversation!